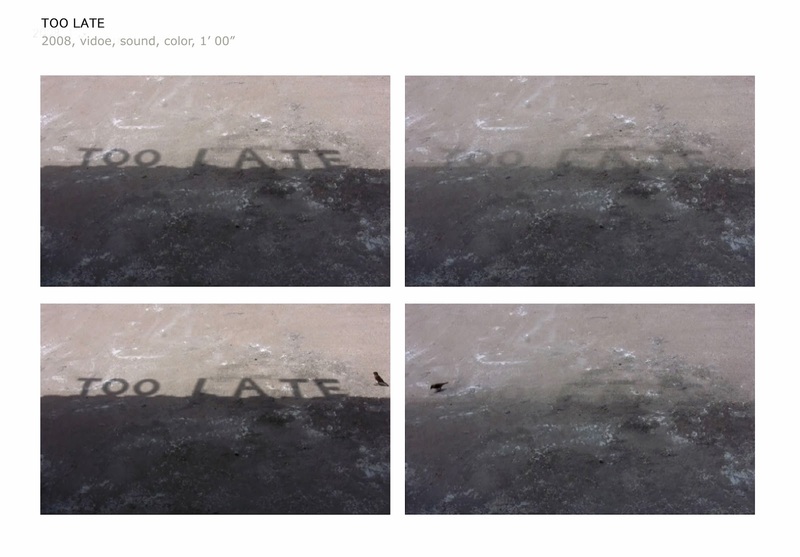 The shapes of letters forming the words “too late” are installed on a house rooftop. The video documents the words’ shadows moving across the screen as the position of the Sun changes during the day, so that when the clouds obscure the sunlight, the words disappear. “Too late” is the emblem of time that never stops. A notion of time that is irrational, changeable and elusive, and that human beings strive to control and measure. video, 2008, 1’00”, color, sound.